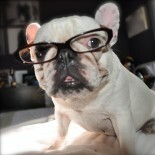 I am the organizer for The San Diego Mastiff Group and The San Diego French Bulldog Group. Because of these dog groups, I often have people contact me when they are looking for a dog. Quite often one of the first criteria these potential dog owners ask for is an AKC breeder, and my follow-up question to them always is, “are you planning on showing your dog?” There is a place for The American Kennel Club and since I have shown dogs, and you can often find me at a sanctioned AKC show, I am not anti AKC, but if you are looking for a pet I see no correlation. So the question today is whether to AKC or not to AKC. Let me define the AKC organization the way I view them. The American Kennel Club was started in 1884 from breeders and breed clubs that enjoyed showing dogs. They decided as a group to regulate breed standards. The standards they chose are what “they” found most attractive to show in the ring and breed. They did not always choose the healthiest route for the breed. 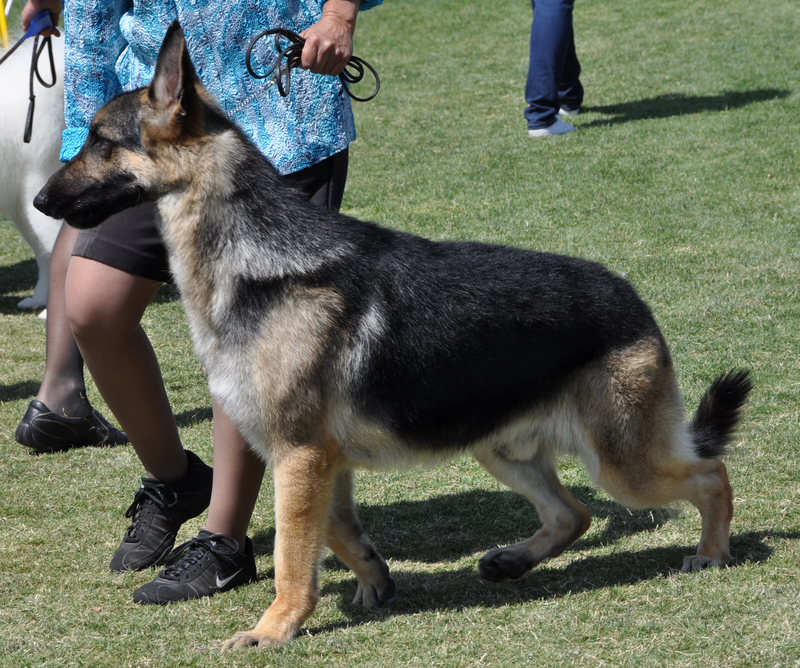 In today’s show rings, the breed I find that exemplifies this the strongest is the German Shepherd, the show Shepherd’s hind quarters are slanted. This is the AKC standard, if you want your dog to win, you must have one that looks like this. Watching them walk is painful to me and these dogs tend to have some serious joint issues. But here’s the joke, they are “beautiful” and are AKC so they cost more. Personally I wouldn’t want an animal like that as my pet. A big misunderstanding from people who want to own an AKC dog is that this means the dog is healthier and a better dog. THIS IS NOT TRUE. 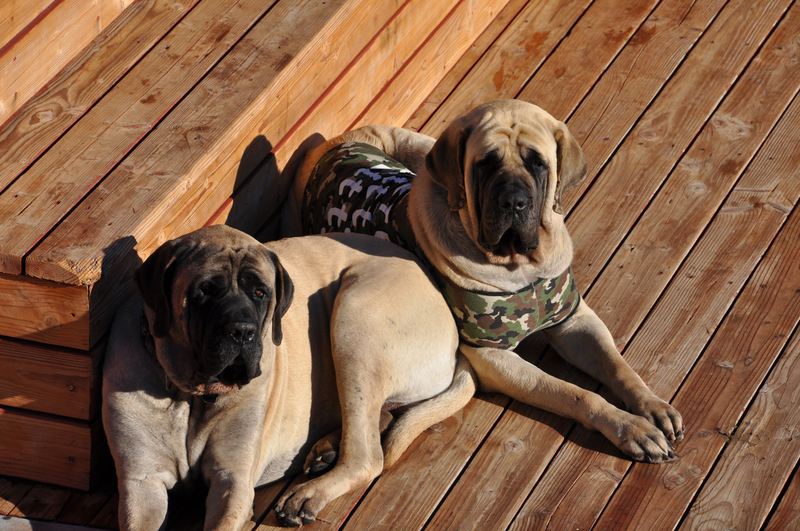 Two of our mastiffs who come from champion AKC lines have had very serious health issues. We had planned on showing both of the dogs, but I could never in good conscience pass on these dogs genes. (99% of the show people told me I was nuts) The only thing AKC guarantees you, is that you can show your dog in competition. When a breeder has a litter of pups, no AKC official comes to see them or grade them. You register your litter online or by mail. Then they are AKC pups. I know breeders personally that breed a defect because as long as they are winning in the show ring and getting the big $$ for their pups, THEY DON’T CARE! Not every breeder is immoral, so when you are looking for a puppy, do not be concerned on whether it is an AKC litter or not. Ask important questions such as if you can meet both the parents. Are the parents healthy? Have any previous litters had health issues. Have the parents been OFA’d (Orthopedic Foundation for Animals), this is a rating that tells you if a dogs hips and joints are healthy. An excellent rating lessens (not guarantees) the possibility of your pup having a serious hip displacement or joint issues. EDUCATE yourself as much as possible, but remember life happens. There are NO guarantees with an animal, anything can happen. Just remember AKC is not a rating for your animals health or disposition. This editorial in NO WAY supports backyard breeders either. This is a buyer beware editorial, know your breeder and the pups line well before buying. Whether you choose an AKC dog or not, be diligent and ask a lot of questions. The whole point to my rant here is that if your goal is to have a happy, healthy pet, whether the dog is AKC should not be one of your measures. The AKC site is great source of information on each breed, how big they will be, what they will look like, health concerns and their personality quirks. There isn’t a better source of information in one location. There are breeds that you will not find on their site. This means they have not been inducted into the organization, this does not mean that they are not a valid breed with a history. You will just have to research the breed on a different site. In general, I find that mutts are the healthiest dogs in the world. My smartest, healthiest dog was Gigolo. His pedigree was questionable, I know his mom was a german shepherd, but his dad was a big question mark. That dog was AMAZING, and not a day goes by that I don’t think of him. He saved my son’s life, but that is another story. This entry was posted on July 6, 2013 by aadubadu in Dogs, Editorial and tagged AKC, American Kennel Club, Dog, Pets, puppies.